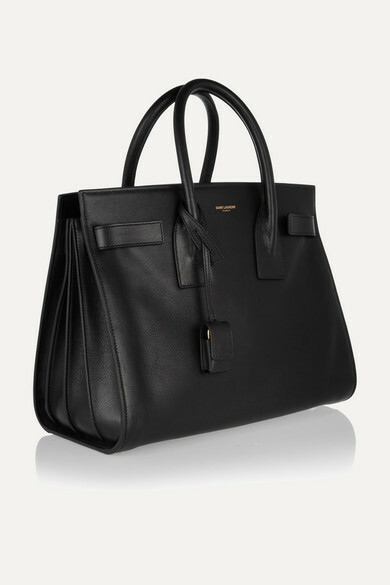 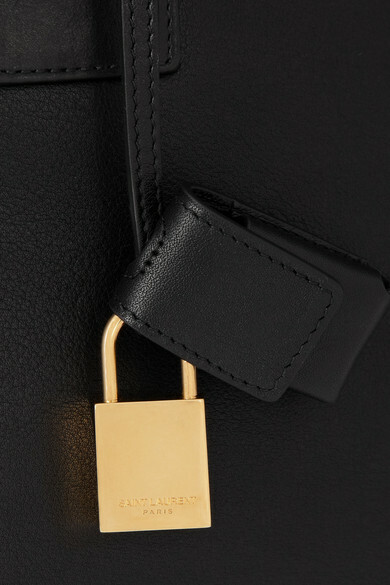 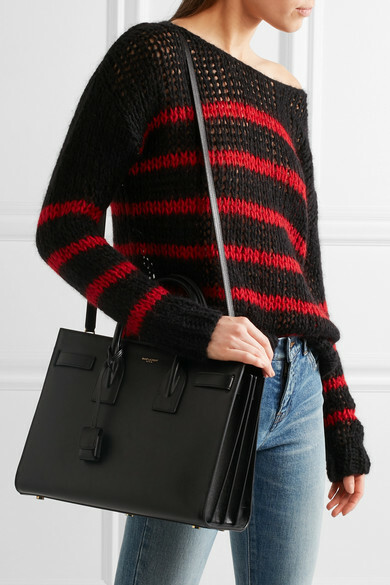 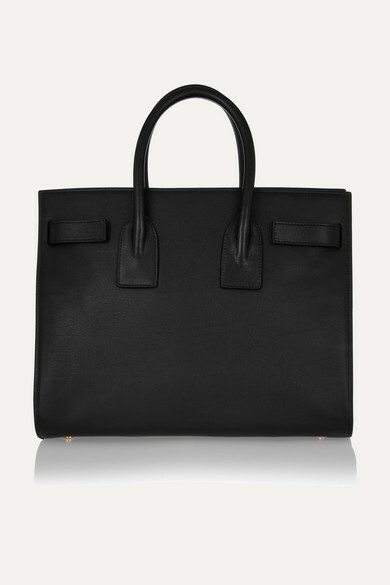 Saint Laurent's 'Sac De Jour' tote is crafted from luxurious leather, discreetly stamped and adorned with a weighty padlock. 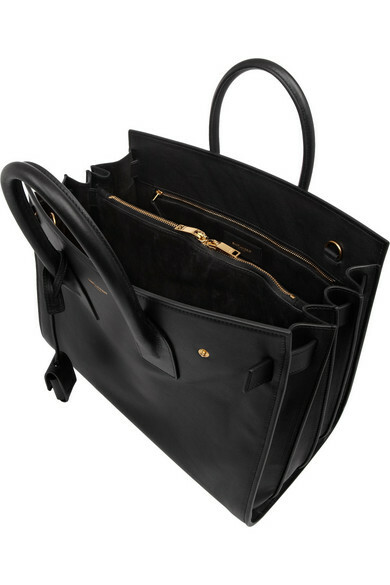 The interior boasts a wealth of zipped compartments to ensure your essentials are stored safely. 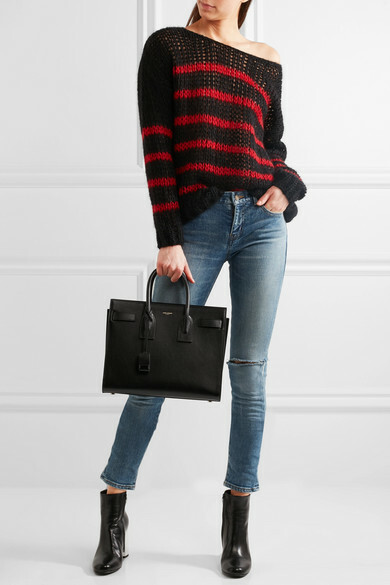 Shown here with: Saint Laurent Jeans, Saint Laurent Sweater, Saint Laurent Boots, Bottega Veneta Rings.